Morning Star model home in the active adult community of Trilogy at Power Ranch. This is one of the most popular midsize models, and is on a premium north/south facing lot. This home features a breakfast bar with gorgeous granite, hickory cabinets and pantry, great room with beautiful wood floors, large master bedroom. Guests will enjoy split bedrooms w/own bath, giving all parties privacy. 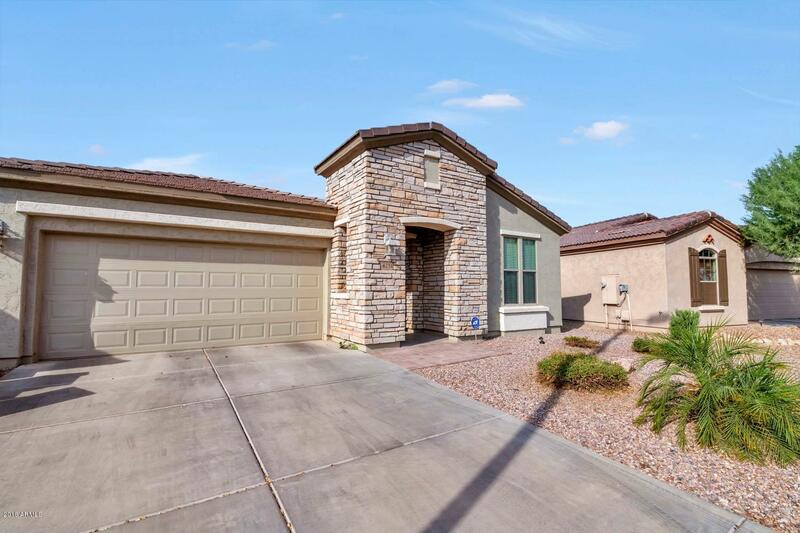 Come and relax & entertain on south facing extended covered patio to enjoy Arizona sunsets, this home has a large lot with amazing views of the mountains and the back is next to a green space with no neighbors in the back. This gorgeous home is move-in ready in the wonderful adult commuinty of Trilogy with a golf course, clubhouse with fitness center.